Another fantastic strategy game on the screens of your computer. You're a brave general, and your aim is to defend the King and the whole kingdom against a horde of dark warriors! Upgrade yourself, recruit new units in the village and train them to defeat the evil army and to earn the gratitude of the King himself! A nice game to spend your free time at. Good luck, warrior! The King is looking at you! 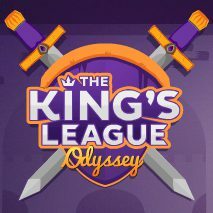 Games Similar The King's League: Odyssey!